How can I play my video? To preview your 1SE video tap the big Mash button at the bottom of your project's screen. This won't save your video just yet. 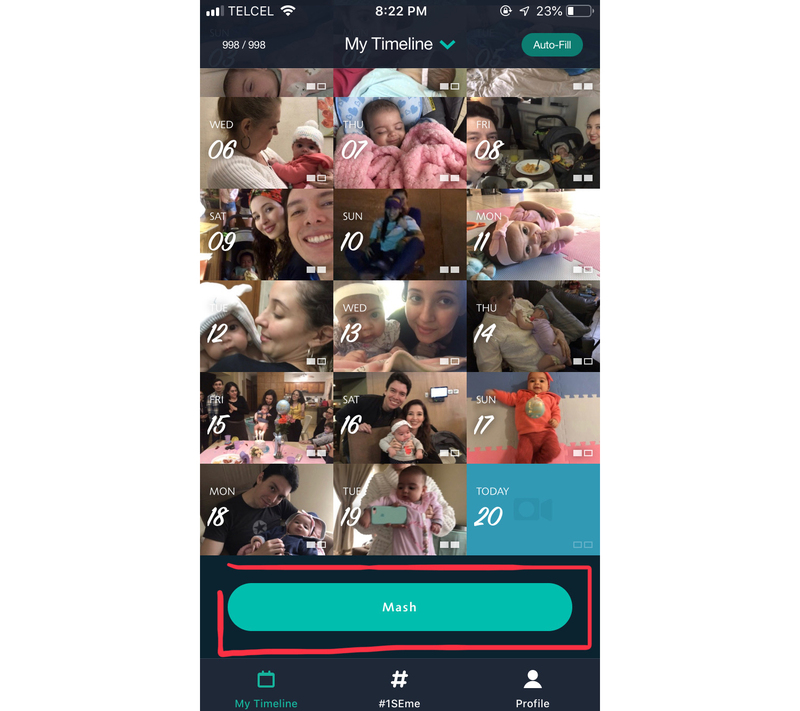 You will be presented with a preview of a video containing all the snippets you've added this year, but you will be able to customize it before saving or sharing it.